Dumfries is a town on the verge of great things. We’re a growing town and the home George Washington’s “Cherry Tree Story” – which comes with its own challenges. But not only is managing our growth a challenge, but it’s even harder when a road is being planned that will potentially cause our business community to lose revenue and our citizens to lose access to an exit point out of our already cul de sac community. Traffic snarls on 95 and Route 1 encourage people to see our community as just another delay. We’re already acting to address these issues, and proud to be working with our elected leaders on funding for expanding Route 1 to relieve traffic for residents and commuter. But this proposed Potomac Shores Parkway will only add to the problem with the introduction another dead-end cul-de-sac. Only one way in and out means it won’t work for drivers and only add to the traffic headaches. In addition the new model of no left turns will add at least three new stop lights at the intersection. Dumfries is poised for economic redevelopment, too. The Route 1 expansion is a big piece of growing our local economy, to make Dumfries a community people want to join, not just drive through. But adding this won’t help grow our economy. Instead, it will undercut our local small businesses, killing these growing businesses and hollowing our community out. 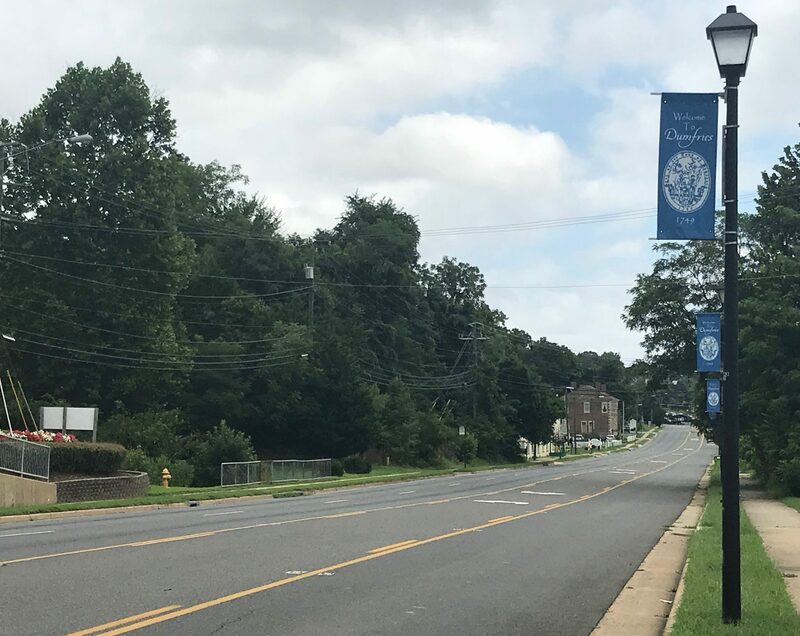 But most troubling is the willingness of the Potomac Shores development group to run an unauthorized road through Dumfries without listening to the requested changes from the people impacted the most, the Town of Dumfries. It’s frustrating for our neighbors and residents, and for me as Mayor, to hear the development group say “only ten percent of this project is in the Town” but not understand that we are one hundred percent impacting by the changes. All we want is our businesses to have full access to 234 and access to the planned parkway from Old Stage Coach Road.